Dr. Geoffrey VanderPal has been a financial professional since 1992 and began his career with Citicorp Investment Services and First Union Securities (now Wachovia) for a decade as a senior financial advisor and money manager and from 2002-2011 served as Chief Investment Officer and owner of an independent investment advisory firm. Dr. VanderPal created Skyline Capital Management ® as an innovative and leading firm specializing in principal preservation investment management strategies. Dr. VanderPal serves as a Professor and guest lecturer in Finance/Economics and Management to universities in the USA, Europe, Africa and Asia. He has taught over 300 courses since 2002 both online and on ground in finance and business and has developed dozens of classes. Professor VanderPal is actively quoted and published both in academia and financial articles. He has been quoted in Time Magazine, Smart Money Magazine, Fortune, Investment News, AARP Bulletin, USA Today and many others. He has been published in the Journal of Financial Planning, Journal of Personal Finance and UPenn Wharton Financial Institutions Center. Dr. VanderPal serves as a Securities Arbitrator with the Financial Industry Regulatory Authority (FINRA) and has received numerous awards and recognition for his work both in finance and the community. Dr. VanderPal also served as a past President of a Financial Planning Association chapter. Dr. VanderPal has also served in a diplomatic position as Honorary Consul for a European nation and has been recognized with Congressional and Senatorial recognitions and commendations. 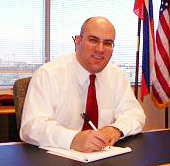 Dr. VanderPal earned his Doctorate of Business Administration and Finance major with Honors from Nova Southeastern University, a Masters of Business Administration degree from Webster University and a Bachelor of Science in Business Administration from Columbia College with a triple major in Finance, Marketing and Management. Dr. VanderPal is a Certified Financial Planner ®, Certified Treasury Professional and Chartered Life Underwriter. He has just finished a Post-Doc in Global Leadership. VanderPal, G. A., Ko, V. S. (2014). An Overview of Global Leadership: Ethics, Values, Cultural Diversity and Conflicts. Journal of Leadership, Accountability and Ethics. VanderPal, G. A. (2015). Don't Let Clients Become Identity Theft Victims. Journal of Financial Planning. VanderPal, G. A., Robinson, D. A., Hoang, D. N. (2017). Entrepreneurs' Leadership Experiences with Specific Regard to Mentorship. Journal of Leadership, Accountability and Ethics. VanderPal, G. A. (2008). Equity Index Annuities. Journal of Personal Finance. VanderPal, G. A. (2014). Global Leadership and Emotional Quotient. Journal of Applied Business and Economics. VanderPal, G. A. (2014). Global Leadership, IQ and Global Quotient. Journal of Management Policy and Practice. VanderPal, G. A., Kline, B. (2007). How to Read & Understand Financial Statements. Case Study 10 & 17. VanderPal, G. A. (2015). Impact of R&D expenses and corporate financial performance.. Journal of Accounting and Finance. VanderPal, G. A. (2017). Invincible Investing: The Ultimate and Proven Investing Method of Principal Protection with Market Gains: VanderPal Method®. VanderPal, G. A., Robinson, D. A., Hoang, D. N. (2017). Leadership Flaws and Organizational Stages. American Journal of Management. VanderPal, G. A., Marrion, J., Babbel, D. F. (2009). Real World Index Annuity Returns. Wharton Financial Institution Center. VanderPal, G. A., Marrion, J., Babbel, D. F. (2011). Real World Index Annuity Returns. Journal of Financial Planning. VanderPal, G. A. (2013). Simplified Option Selection Method. Journal of Accounting and Finance. VanderPal, G. A. (2004). The Advantages and Disadvantages of Equity Index Annuities.. Journal of Financial Planning.